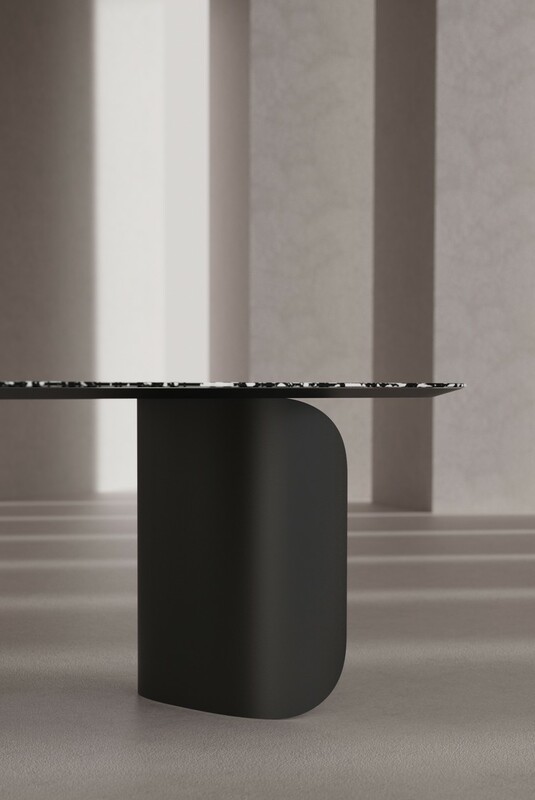 The Barry table plays on the changing visual perception of its different masses. Depending on the angle it is seen from it will either appear heavier or more lightweight. 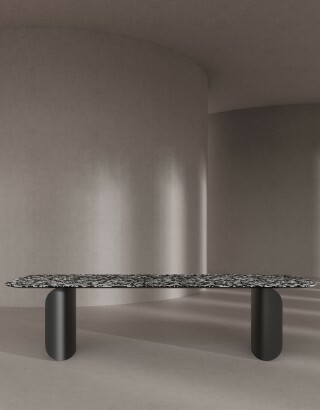 The legs of the table will appear as either solid or hollow depending on the perspective but always welcoming. 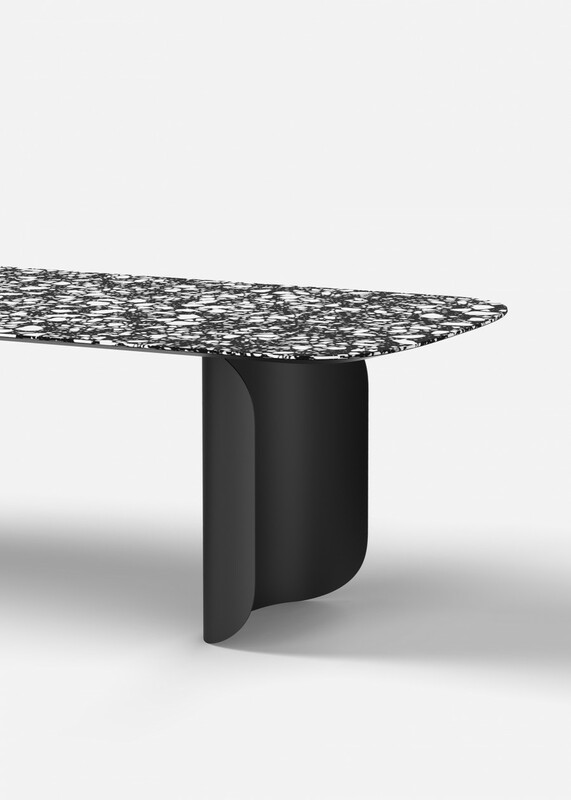 It gets its name from its curves and friendly nature. 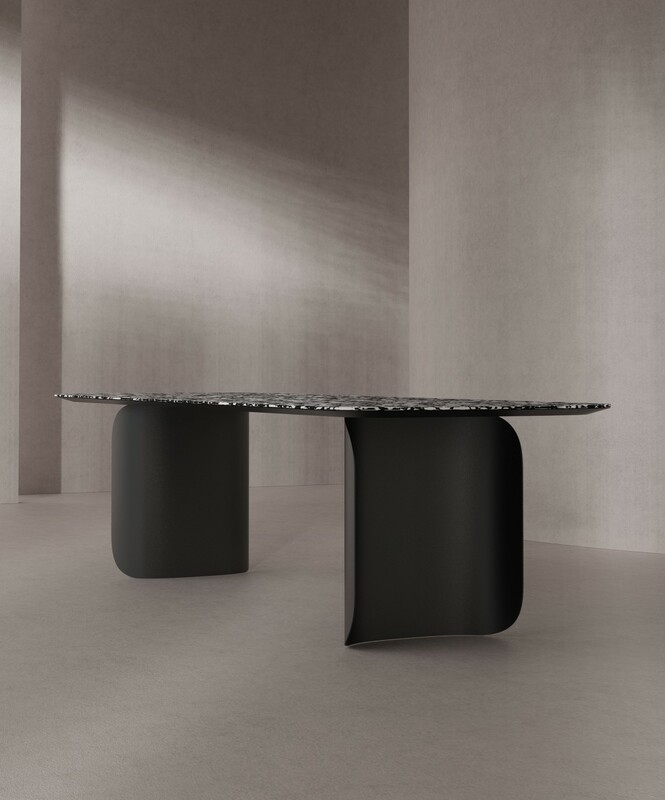 The table is conceived as if it were made of three thin sheets of material. 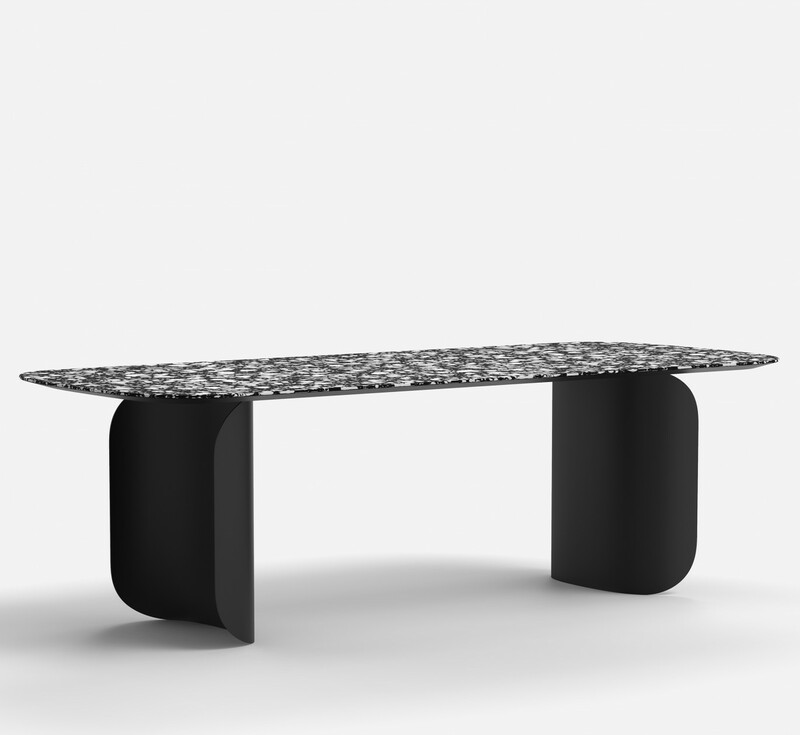 The thin metal sheet legs have been curved in order to bring warmth and structural strength to the material. 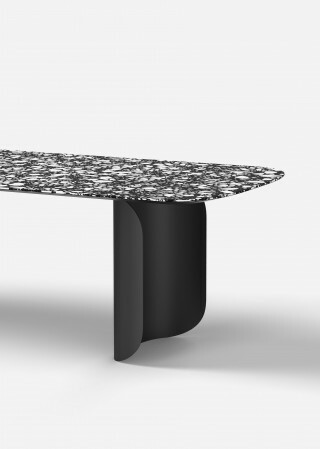 As for the table top, because of its very deep chamfer on the edges, it also appears from some angles as an extremely thin and lightweight element. The large curves on the four corners of the metal legs also give the impression that the table is resting on very little, that it is playing with the limits of stability. From certain angles, the whole structure can appear to have the visual fragility of a “house of cards”. The different curves on the table and legs also create a discussion between the different parts of the table, sometimes giving the impression that the table top rests on only one point as if it were levitating into thin air. 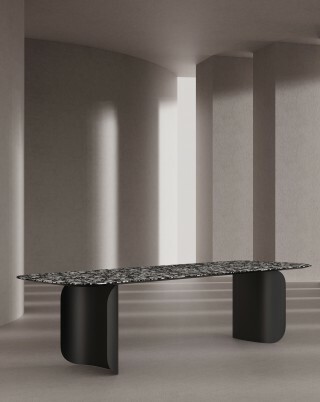 The Barry table is available as a rectangular table, or as a round table with three legs.